It's zero secret what Samsung is "revealing" today, but plenty of details remain unconfirmed. 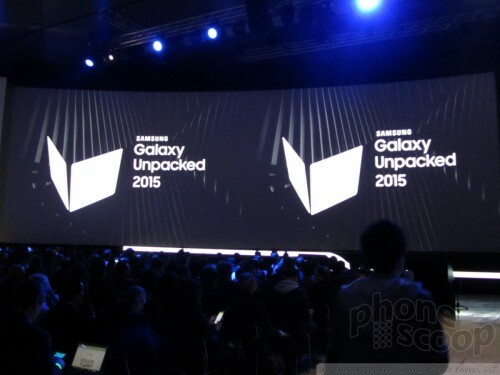 We're live at Samsung's Unpacked event at MWC in Barcelona for the launch of the Galaxy S6. 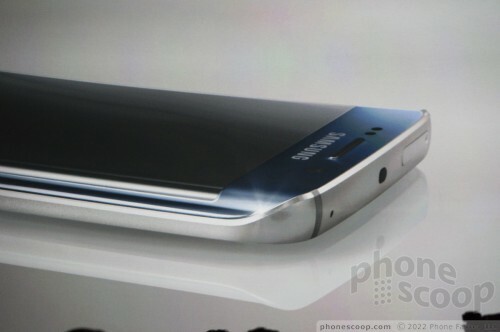 Samsung itself has promised a new design with a metal body. 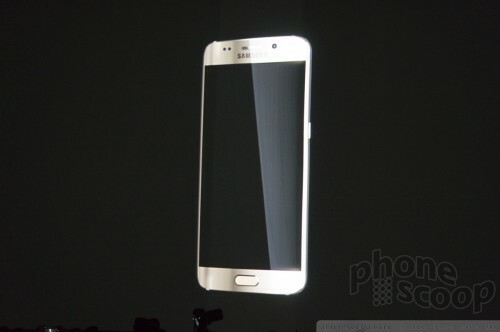 Leaks point to a version with a screen that curved slightly at the side edges. We'll bring you every detail as it happens on stage. Mar 1, 2015, 1:13 PM: Looks like that's it. Thanks for reading! Mar 1, 2015, 1:13 PM: No word on prices. 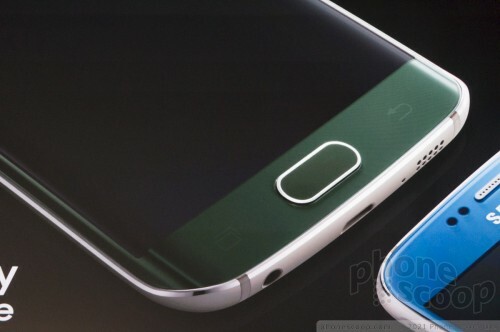 Mar 1, 2015, 1:13 PM: Galaxy S6 and S6 Edge will launch on April 10. 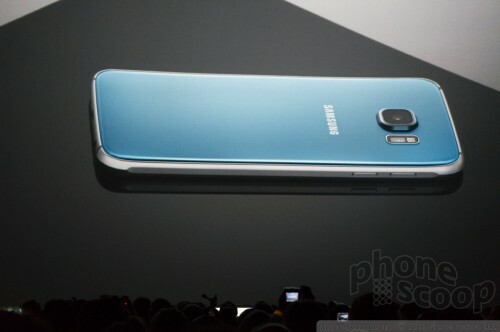 Mar 1, 2015, 1:11 PM: Will be interesting to see if Samsung trickles the GS6's design down to other phones. Mar 1, 2015, 1:11 PM: Samsung: Tonight we're bringing you the beginning of a whole new Galaxy. Mar 1, 2015, 1:08 PM: Samsung being really arrogant about the GS6 and how much better Samsung Pay is than Apple Pay. 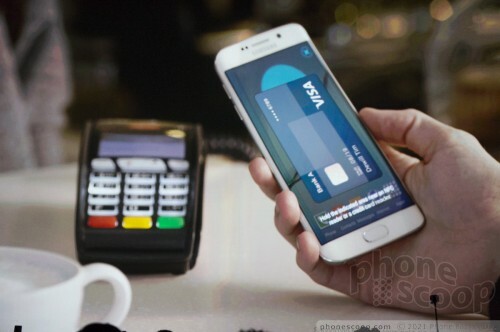 Mar 1, 2015, 1:06 PM: Samsung says NFC-based payments available at a maximum of 10% of US retail spaces. Mar 1, 2015, 1:05 PM: Samsung now talking about Samsung Pay, bad-mouthing NFC and its limited availability. 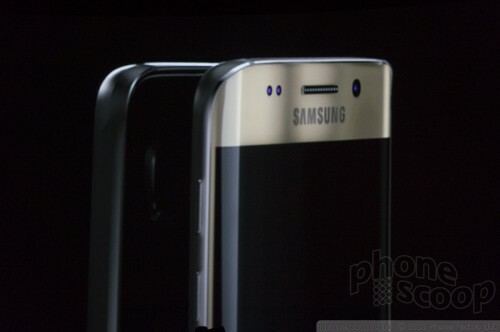 Mar 1, 2015, 1:04 PM: Samsung comparing photos from iPhone 6 to Galaxy S6. Says "no retouching, no bumped settings." Compares video, too. 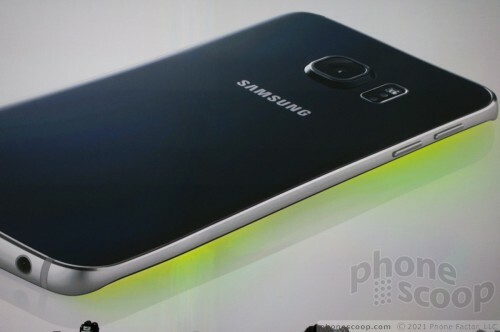 The Gs6 footage looks brighter. 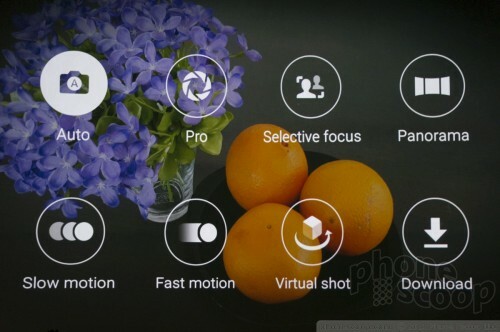 Mar 1, 2015, 1:02 PM: Samsung says it increased the pixel size of the selfie cam by 40% to boost low-light performance. Mar 1, 2015, 1:01 PM: The camera: 16-megapixels, real-time HDR, optical image stabilization, IR-assisted focus, f/1.9 aperture. The selfie cam captures 5-megapuixels. Mar 1, 2015, 1:00 PM: Samsung says it shot all the promo images for today's presentation with the Galaxy S6. 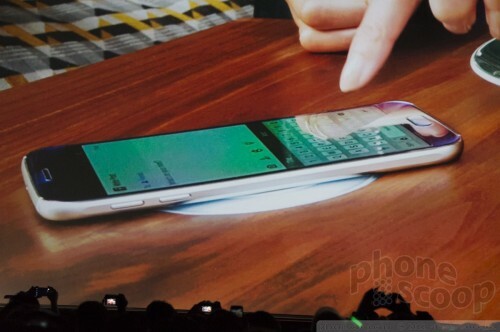 Mar 1, 2015, 12:59 PM: Samsung says the GS6 can wirelessly charge in more places than any other phone. 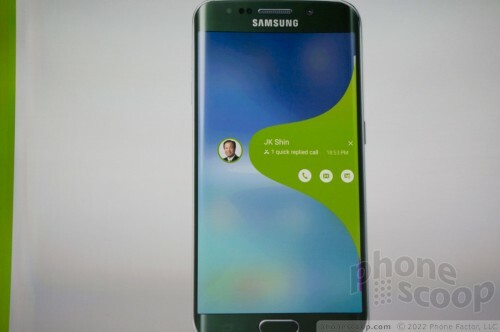 Mar 1, 2015, 12:57 PM: Samsung says GS6 can get a full charge in half the time it takes the iPhone 6 to charge. 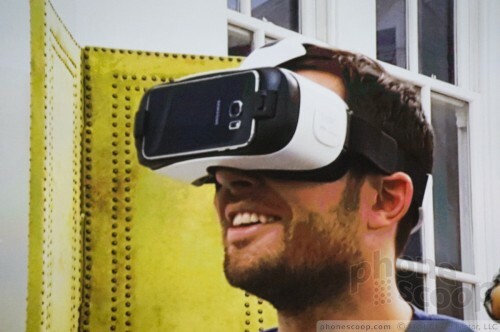 Mar 1, 2015, 12:57 PM: Samsung claims its battery can charge faster than any other battery in the industry..
Mar 1, 2015, 12:56 PM: Samsung talked about a new Gear VR headset that's sized for the GS6 and Gs6 Edge. 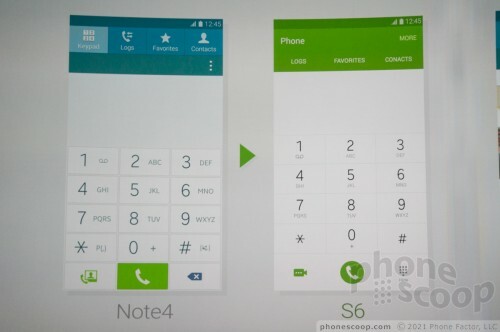 The original one only works with the Note 4. Mar 1, 2015, 12:54 PM: Samsung is using the newest memory and flash technologies available, making it much faster at specific tasks. Mar 1, 2015, 12:54 PM: Samsung is talking about its Eynos processor. It uses 14nm processes, boosting efficiency by 60% compared to its Note 4 processor. Mar 1, 2015, 12:53 PM: Samsung staffers just fist-bumped one another on stage. Mar 1, 2015, 12:51 PM: The Edge will glow certain colors to let you know which contacts are calling. 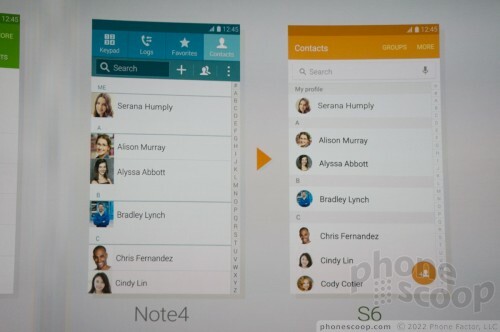 Mar 1, 2015, 12:51 PM: So far, two-thirds of the presenters on stage at Samsung's event have been women. Usually, there are none. Samsung growing up? Mar 1, 2015, 12:48 PM: Samsung claims Corning's Gorilla Glass 4 is 50% stronger than Gorilla Glass 3. 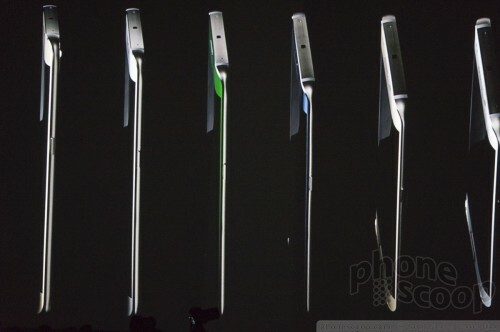 Mar 1, 2015, 12:47 PM: Samsung takes a pot shot at Apple, says the GS6 "will not bend." 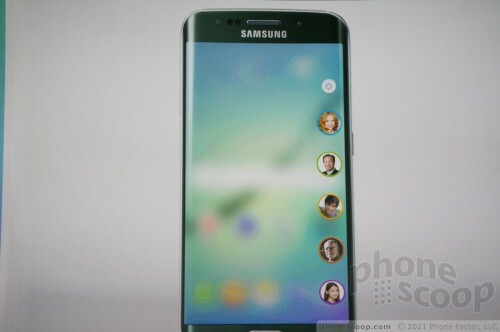 Mar 1, 2015, 12:46 PM: Samsung says the GS6 Edge is easy to hold, feels good in the hand, and will "look cool." Mar 1, 2015, 12:45 PM: Samsung says the GS6/Edge offer "design with purpose"
Mar 1, 2015, 12:44 PM: The GS6/Edge clearly draw their inspiration from past Galaxy S handsets. They may have a new aesthetic, but the overall shape, button placement, and appearance is pretty similar to older phones. Mar 1, 2015, 12:43 PM: Uh well, sort of? 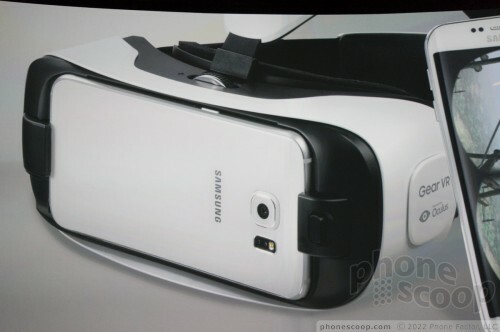 The metal frame and glass front/back panels are so 2010. Mar 1, 2015, 12:42 PM: "We returned to the drawing board for a totally new design"
Mar 1, 2015, 12:42 PM: Shin: "We set out to build something different from everything we've done before, and I think we did it." Mar 1, 2015, 12:41 PM: The phones both support WPC/PMA specs for wireless charging in addition to Quick Charge technology: 4 hours of use after just 10 minutes on the charger. Mar 1, 2015, 12:40 PM: They are powered by Samsung's octa-core Eynos processor family with next-gem RAM and next-gen flash storage for incredible speed. 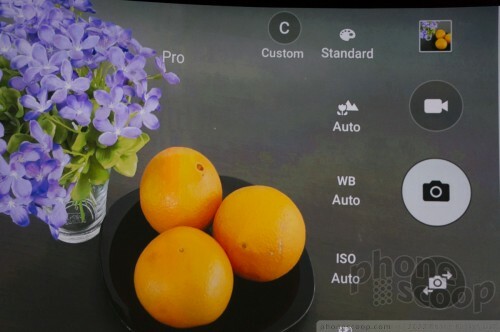 Mar 1, 2015, 12:40 PM: The GS6/Edge have 5.1-inch quad HD Super AMOLED screens. 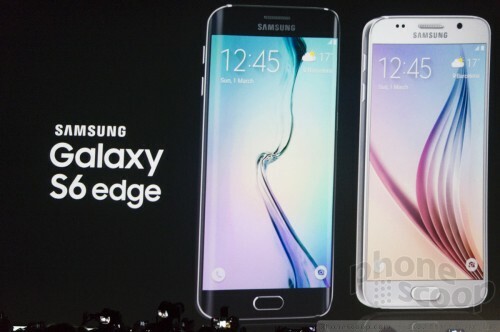 Mar 1, 2015, 12:39 PM: The GS6 and GS6 Edge are identical, aside from the screen. 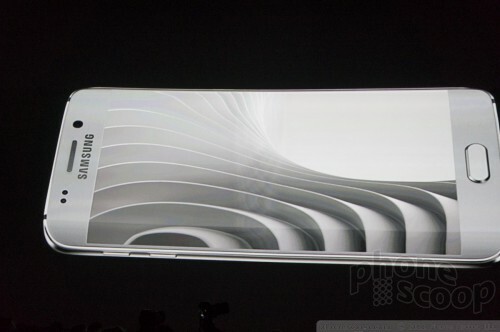 The GS6 Edge has a curved display, but not one like the Note Edge, which used the curved design to display content. Mar 1, 2015, 12:39 PM: Samsung announces Samsung Pay! Mar 1, 2015, 12:38 PM: Shin says they are the most advanced smartphones in the world. "No other phone can match." 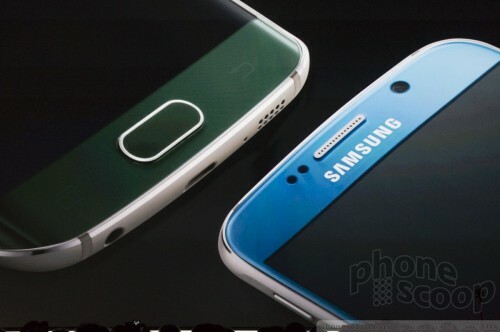 Mar 1, 2015, 12:38 PM: Samsung announces the Galaxy S6 and the Galaxy S6 Edge! Mar 1, 2015, 12:37 PM: I feel like aliens are invading the planet. Mar 1, 2015, 12:36 PM: Our customers want best-in-class specs with best-in-class design. That's what we set out to do, and that's what we did with the Galaxy S6. Mar 1, 2015, 12:35 PM: Shin is waxing poetic about the companies past successes. Mar 1, 2015, 12:35 PM: "My first language was engineering." Mar 1, 2015, 12:34 PM: JK Shin is on the stage. Mar 1, 2015, 12:33 PM: We're in a massive theater-in-the-round that has to seat four thousand people. Mar 1, 2015, 12:32 PM: Only a little melodramatic. Mar 1, 2015, 12:32 PM: Samsung: Metals will flow, beauty will be powerful, borders will disappear, reflections will be free, and colors will live. Mar 1, 2015, 12:31 PM: I think Michael Bay did the soundtrack. This is intense. Mar 1, 2015, 12:30 PM: We've begun! Mar 1, 2015, 12:25 PM: Eric and I are going to share live-blog duties for this one. Photos may be a bit delayed due to poor Wi-Fi. 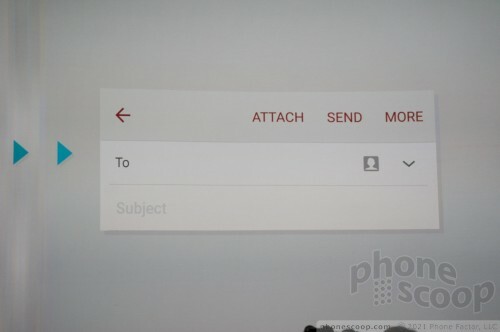 Mar 1, 2015, 12:00 PM: We're seated up front with glorious wired connections once again. Bring it! 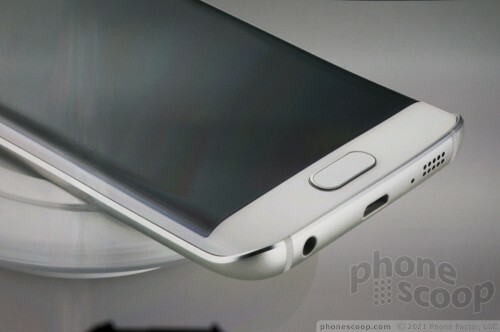 Here is a look at Samsung's premiere device, the Galaxy S6 Edge. This Android smartphone has a unique curved screen, an excellent build, and an impressive spec sheet.